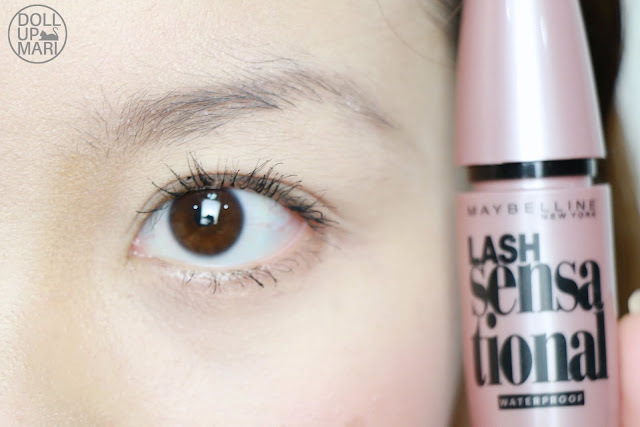 It's about time I did a mascara review again here, so here we go! Maybelline's newest offering is their Lash Sensatonal mascara. 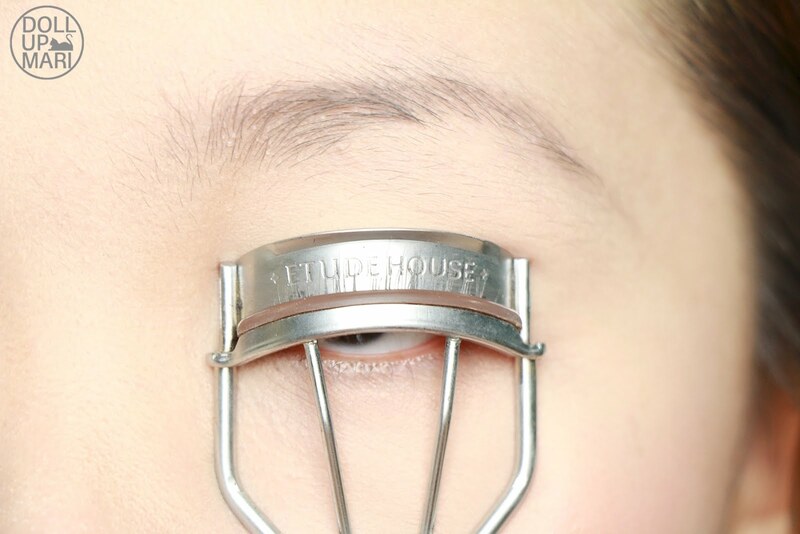 It promises to lengthen, separate lashes, and create instant volume. 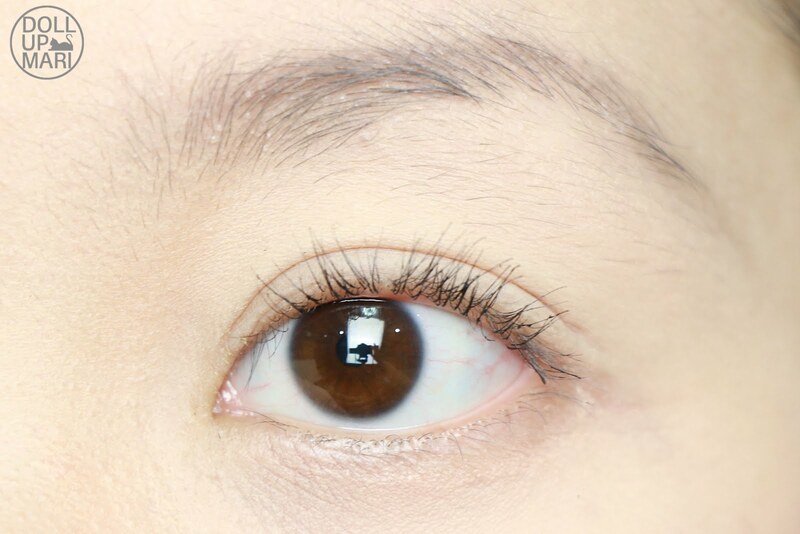 But the unique selling proposition is that it intends to give a good amount of length and volume with zero mess and zero clumps, for clump free, beautiful lashes. So this is the packaging. It is an ergonomic tube that's shaped nicely for grabbing. Surprisingly, despite being shaped like a football, it actually can stand on its own. I put it upright beside me as I am writing this post. The diameter of the largest part is about an inch, so it's a bit bulky, too. The manufacturing date is engraved on the tube, contrary to the usual wherein it's indicated through a sticker placed on the product. One of the key selling propositions of this product is that it has a specialized silicone wand. The description calls it a unique fanning brush, with 10 layers of bristles. The wand's core itself is a little bit curved, but it's the bristles that have different lengths which is why it looks curved overall. 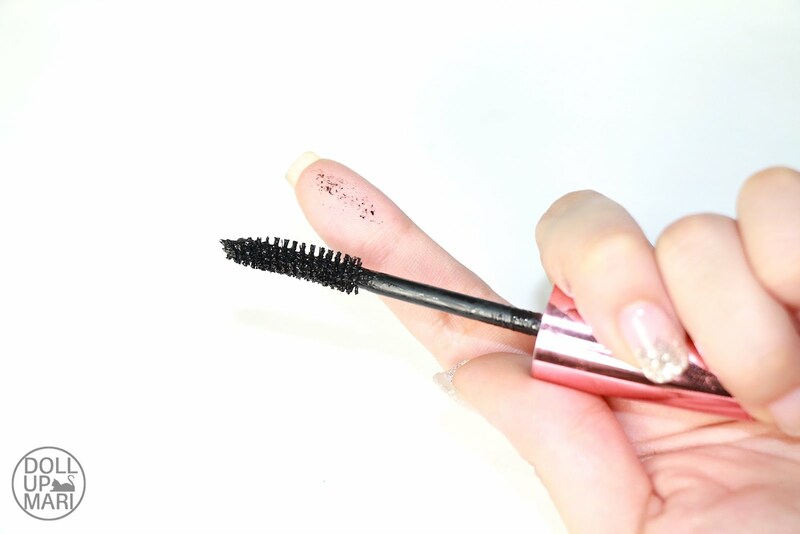 I am guessing that there are longer and shorter bristles so that you can easily apply product on all areas of the lashes, including the areas near the corners of the eyes as well as the lower lashes. An interesting observation I have formed over this product is that I noticed that I was making less of a mess while applying the mascara. When I touched the wand out of curiosity, no product got transferred onto me. What this means is that the product tends to gravitate towards the core of the wand rather than the tips of the bristles. This means that it really does help to make less of a mess as you smear less product onto yourself in those accidental tugs and touches. 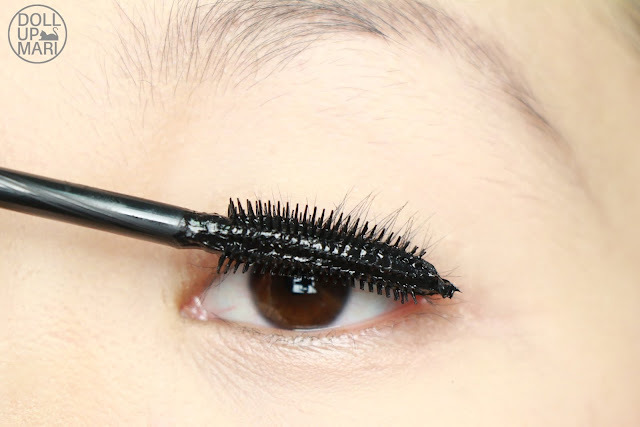 I think you get what I mean that with the usual mascara, that when you apply it you have to move around the wand so gently because even the slightest contact of the wand to the skin will leave a stain. This mascara is generally more forgiving as the tips don't dispense so much product so as to wreak havoc. I thought that when I touched the tip and nothing had transferred that perhaps there wasn't enough product on the wand. I squeezed it and whelp that's where all the product went. It really does gravitate towards the core. Of course, it does not gravitate 100%, and you may still smear some of it, but it's generally more forgiving than the usual. I thought that it was just a crazy observation until I tried touching the wand of my Maybelline Hypercurl mascara. 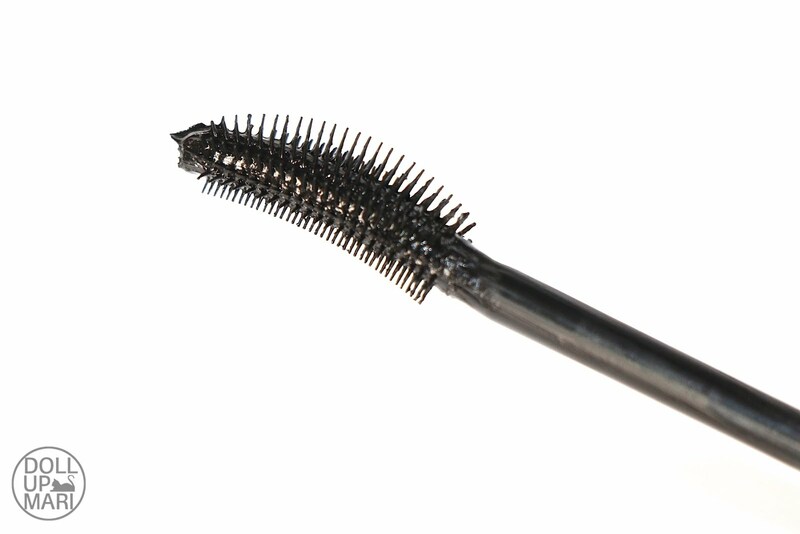 This mascara has a different kind of wand so it behaves differently. And yes, more product does stick onto the tip. This has a mousse-ey fornula though, so it needs this kind of wand to dispense the product properly. But to just generally give an idea as to what's different with the wand of Lash Sensational, here it is right below the wand of Hypercurl. And weee, it's demonstration time! 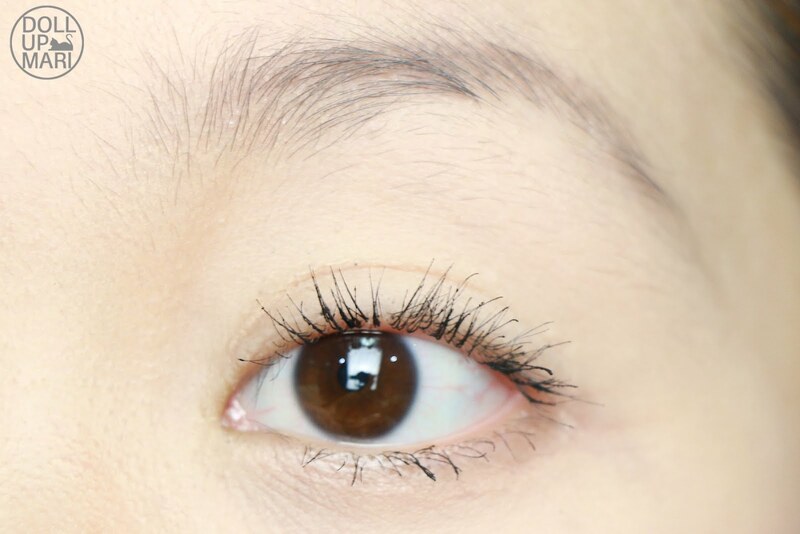 So to give an idea, this is how my lashes look like without anything. 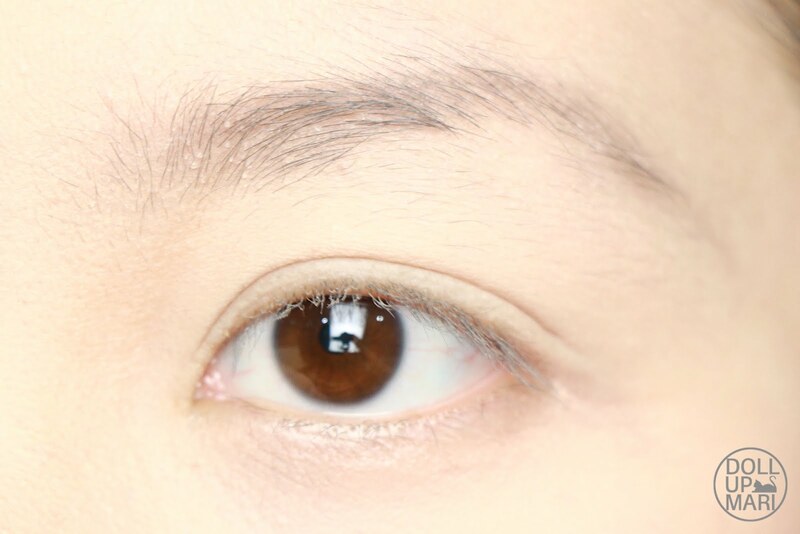 I think I can say I have decent eyelash length given our ethnicity, but it's generally straight and downward pointing. So this is why I also take much longer in curling my lashes compared to the usual citizen. This is how my lashes look like once curled. And this is the mascara in action. This is after the first coating on the upper lashes. I am actually very happy that it kept the curl up, and gave a natural looking volumization. This is how it looks like when the lower lashes also have product and after I apply a second coat to the upper lashes. It looks a bit clumpy in the photos, but you kinda have to note that this is an extreme close up shot of my eye hahaha. 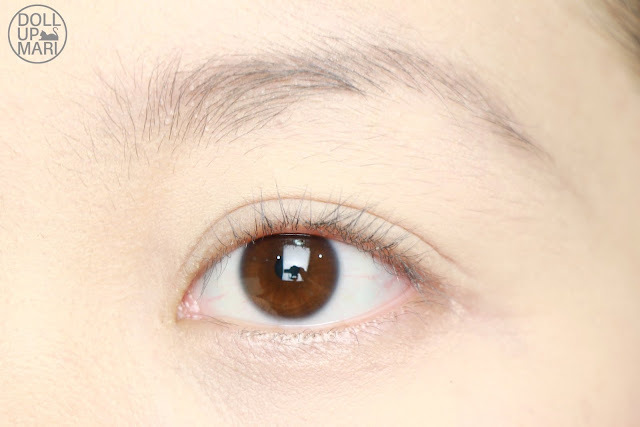 It's a lot more natural looking in real life, and as far as mascara is concerned, I would already say that this is not clumpy as I didn't have to use a comb for my lashes after. 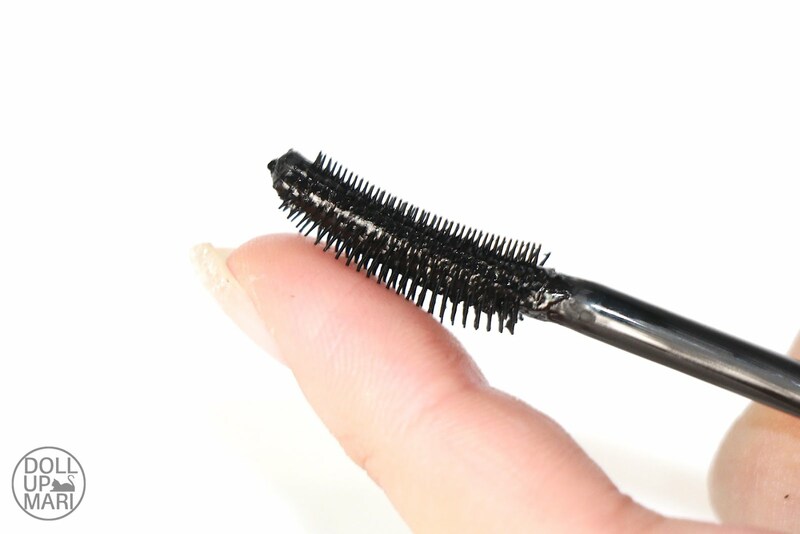 I have encountered a lot of very volumizing mascaras but the downside is that I have to comb my lashes after or use tweezers to separate the ends of the lash hairs. For this one, I just had to play around with the wand to get this effect. This is how it looks like overall. 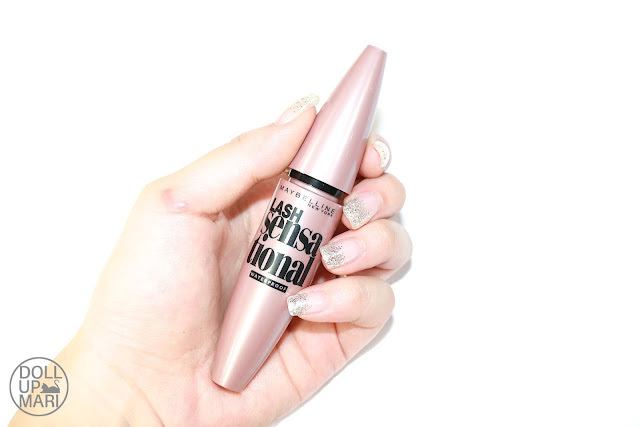 In terms of volume, I can say that it has relatively good volumizing and lengthening properties, though this is probably not the most volumizing and lengthening in the whole portfolio of Maybelline. I really see that what's special about this mascara is the ease of usage it provides with the packaging, wand, and formula. It's a good balance of volume, length, comfort (of wear), and convenience. In terms of curl keeping, I would say that for a mass consumer product, it has really good curl keeping properties. It was able to keep its curl until I took a bath. The downside is that the curl got lost after I took my bath and washed my face. I kind of expected and accepted this as the flipside of the product as it's lightweight and easy to remove with oil based remover. 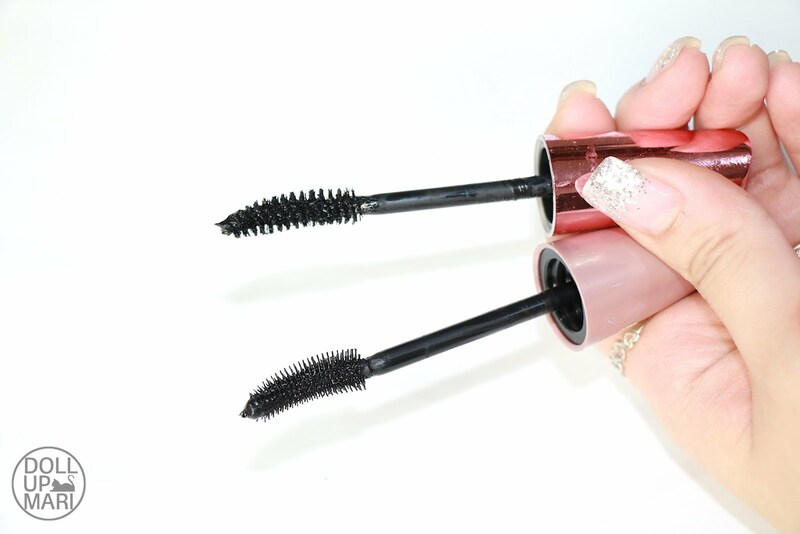 The mascaras that are usually the best in keeping curls are the ones that feel very chunky on the eyes and the ones that are also the most difficult to remove. But I was still OK with it because it kept the curl up right after application. A lot of the mascaras I have tried kill off the curl as soon as the product is applied as the product is already weighing the lashes down. So yeah, there's that. I didn't take formal photos after my bath anymore. As for why I didn't take photos anymore, was because the mascara did not smudge after my bath and this there was nothing noteworthy aside from the curl. No panda eyes, no raccoon eyes, just cleanly coated lashes. 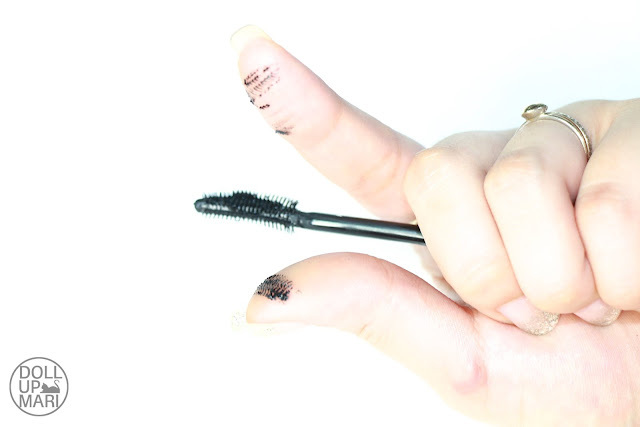 There were little bits and pieces of the product that got off, but it's like suuuuuper small chunks of dried up product that got off instead of "mascara tubes". And it didn't smudge so that was all that mattered. 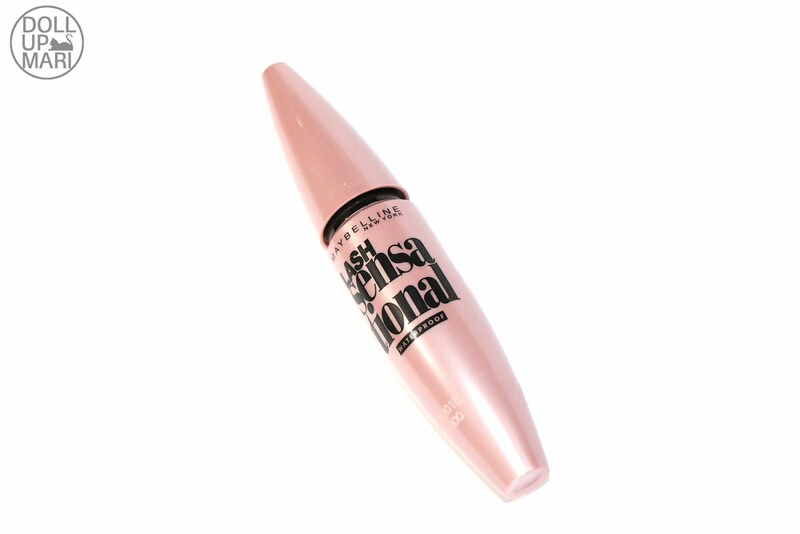 I see this mascara as the best choice for everyday use and for in-transit use. 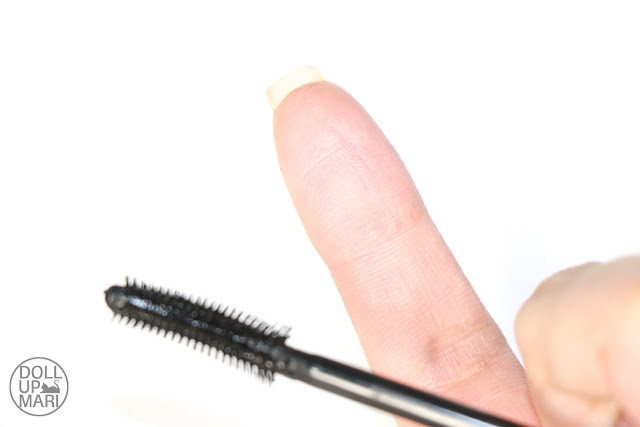 This is your best bet for mascara when in a vehicle, waiting in a queue, or while waiting for someone outside of home, because it's forgiving and manageable. You can afford to make the wand touch your eyelid a few times without smearing product onto your eyelid so this is your best bet for car use as it's the least likely to smear in the case that the car you're in suddenly jolts or stops and you lose your composure. And wee, this is now in stores nationwide starting today for Php429! Hypercurl is cheaper at Php199, but this has its own distinct benefits that are worth the higher price. As for which is better, I really think that it's up to the consumer to discern. Don't forget to be sensational today!